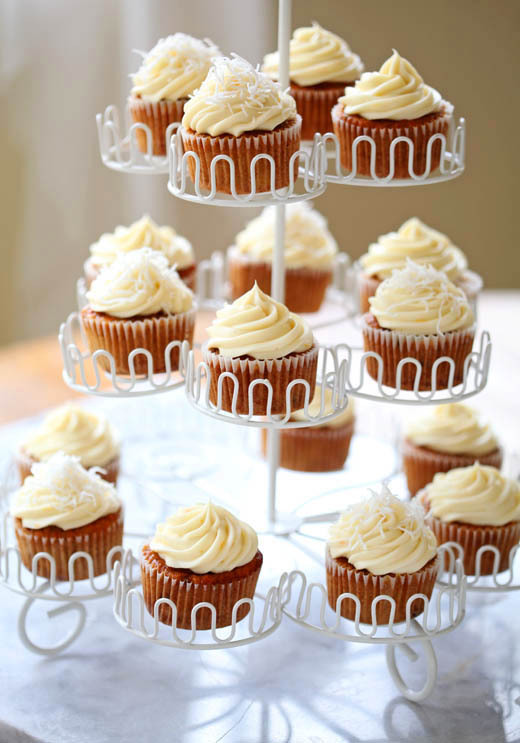 This is a carrot cupcake recipe I developed for my Weekend Baker post on the Cooking Channel website. It is a new version of one of my most popular cakes to date, The Ultimate Carrot Cake. This version is made with pineapple and walnuts. Try them both and let me know which is your favorite. In a continued attempt to clean out the pantry I want to give away this Cuisipro Cupcake Corer and Decorating Set . 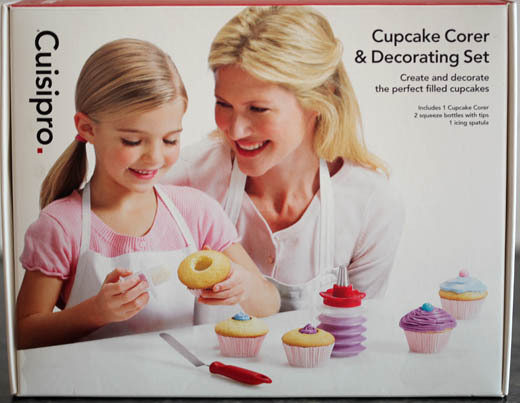 It is a perfect set for both adults and kids to get the feel for cake decorating. Please leave me a note below about what cake or cupcake decorating techniques you are most interested in learning.